The first 2,000 game attendees will receive a commemorative wristband. If you cannot attend, please consider purchasing tickets which will be distributed to Veterans in our communities. If you cannot attend, please consider purchasing tickets which will be distributed to Police Dept, Fire Dept, and Ambulance Corps members. Click the buttons on the left to pay by credit card (via CommunityPass), or mail in the form along with your check. Please create an account in CommunityPass, select "WWAST" at the bottom of Browse Activities next to Closter Recreation. If you need assistance, please contact admin@closterrec.com. Eddie Feigner has since passed away and there aren’t any barnstorming teams like this out there any more…….Yet there is……. 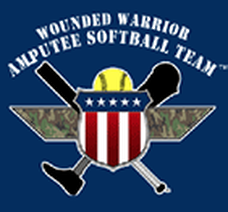 We are lucky to have found the Wounded Warriors Amputee Softball Team (known now as the USA Patriots Softball team). 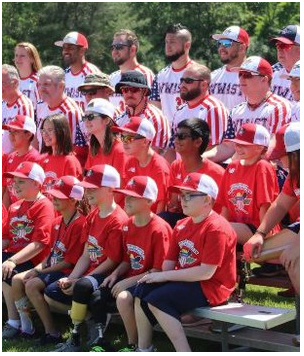 They have NEVER played in Bergen County or the surrounding areas, and the closest that they have played in our area is South Hampton NY and Fort Dix NJ. Please take the time to check out the links below various news videos about these courageous men and women on the attached word document. (These links might load slowly) but after viewing these, I think you will agree that this game will be a tremendous event for our community(s). And we will have the opportunity to help out this great organization with their camp for young children. As we exit the holiday season, we were all touched by the community toy drive that the local police PBA ran and has run for over 30 years. This event encompasses true volunteerism and consists of many different groups of people that volunteer their time. The community spirit and the tireless work that these men and women give for such a great cause is heartwarming. We would like to make this event in June 2019 a similar affair. Organizations pulling together to make the world we live in a better place. Even in our small community. We are raising funds for these Brave Men and Women to come to our community and play a team of local players. We need sponsors and donations to cover the USA PATRIOTS airfare and hotel accommodations. In addition, our goal is to make a sizable donation to their camp for kids with amputations. We feel this is a great way to give back to these USA PATRIOTS for their service and their sacrifice. Please consider donating through the DONATE HERE button link on top of the page. In addition to raising money for the worthy cause that the US Patriots stand for, 2019 is the 100th anniversary of the Closter American Legion Post Leroy S Mead post 111. We are going to recognize this organization and our great veterans who have given so much for our country. These athletes are examples of amputees who continue to push the limits of modern prosthetics. Of course, our dream would be the return of our soldiers from harm’s way without the loss of life or limb. Until such a time, our goal is to support and honor our veterans’ sacrifices, and to show others that life without a limb is limitless. 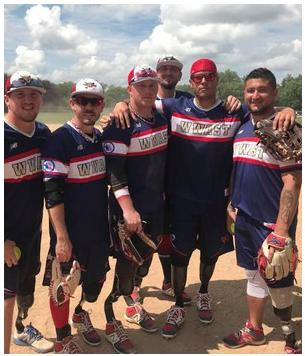 Because many of our players have spent time at Walter Reed National Military Medical Center, we also raised funds to provide equipment that may not be in the hospital budget. In the past, we donated new equipment to update the physical therapy room. We plan on expanding these donations to other military Medical Centers.